Are you looking to get tree braids in Dallas or Grand Prairie, TX? It sounds like you need to give Beauty Concepts Salon a call. Our technicians are highly skilled in African hair braiding and will make sure that we provide you with nothing but the best. So contact today at 817-724-9059. Tree braids is an intricate braiding method that combines partial cornrows and a full head of extensions, leaving clients with loose, flowing tresses. This braiding technique is highly recommended for clients with fine or damaged hair. 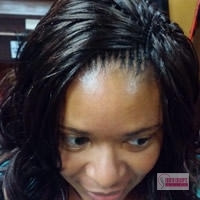 Tree braids are a protective style that can be achieved using synthetic or human hair. This style can take between two to four hours and last six to ten weeks with the proper care. You should always have a full consultation with one of our professional hair braiding techs. We will evaluate your hair and discuss the kind of style that you are looking for. We recommendasking as many questions as possible so that you have a full understanding of the process and your expectations. We also recommend knowing what type of hair extension you would like to a have installed, whether it is human or synthetic. This style is about the volume and the overall style rather than just the braids and is completely versatile! So if you’re looking to switch up your look with tree braids in the Dallas or Grand Prairie, TX area, contact Beauty Concepts Salon. Dial 817-724-9059 to schedule your appointment today. We’ll having you leaving our shop feeling like a brand new person. Updated on August 4, 2016 at 2:55 pm by Beauty Concepts Salon.